One of our readers recently asked what you should look for in a marriage celebrant. Here are the four things we think are most important! Finding a celebrant who connects with both you and your partner and is passionate about what they do is important, as is someone who is a good listener, friendly, supportive, relaxed and fun. Wedding day jitters happen to the best of us, so a celebrant who puts you both at ease at the start of the ceremony will make the moment even more special. It’s great if the celebrant has a professional website that showcases their personality and experience. Testimonials from other couples and video footage of previously conducted ceremonies are a bonus, while an active social media presence is a great way to learn more about their style. Finally, if they respond quickly to enquiries and are enthusiastic about the opportunity to work with you it’s a good sign that they will be committed to delivering high quality service in the lead up to the wedding and on the day. The ceremony is an acknowledgement of a couple’s commitment to one another, so choose a celebrant who is happy to help personalise your order of service. Whether it’s including vows to your children, honouring lost loved ones or incorporating a meaningful ritual, finding someone who is understanding of different situations and open to your ideas will make the process more enjoyable. When it comes to delivery of the ceremony, it’s important to find a celebrant who presents with confidence, sincerity and a sense of humour so that you and your guests instantly feel relaxed. Someone who is happy to dress up, down or even in costume to reflect the look and feel of your wedding is also an advantage! 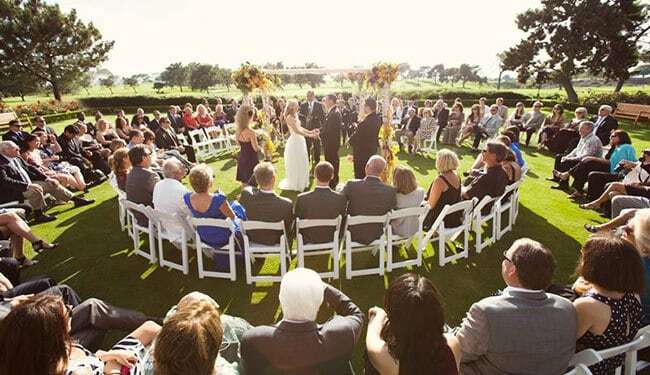 Ultimately, the celebrant that is right for you is one that you and your partner click with – someone who will take the time to help you create a unique and heartfelt ceremony.